First of all, thanks for joining me in this devotional study about the death, suffering, and resurrection of Jesus. I appreciate your company. My goal is to make you see these pivotal events in the life of Jesus in a deeper and richer perspective. I hope that you will be excited as I am, as we plunge deeper into this momentous chapter of our Savior’s life. Our Lord and Savior, Jesus is called the Christ. “Christ” in its Greek definition means, “anointed One.” As God’s only Son, Jesus is the only one appointed to be the world’s only Lord and Savior. There is no one else like Him – Matthew 16:16. Jesus Christ alone is the one who can “bind up the broken-hearted, proclaim liberty to the captives and the opening of the prison to those who are bound.” – Isaiah 61:1. He alone gives “rest to those of us who are burdened and heavy laden” – Matthew 11:28. The suffering and the crucifixion of Jesus was His way of anointing us. His stripes healed us – Isaiah 53:5. His coming to the world freed us from sin – Hebrews 2:15. And His death paved the way to a new life. But how could a sinful and flawed men like us could actually anoint Him who is utterly perfect and complete? It may sound impossible but in reality, it isn’t. Mary, the friend of Jesus, had actually done it. And the Lord recognized her for doing such a selfless act of devotion. Mary broke her alabaster jar of expensive oil and poured it on the feet of Jesus. Fragrance quickly wafted through the air. Overjoyed, Mary proceeded to wash with her own tears the feet of Jesus. Looking down on her, our Lord smiled. Satisfied. Like Mary, we are called to live anointed lives. Our lives must be channels of the very comfort that we have received ourselves from God – 2 Corinthians 1:4. We must seek to anoint those around us. The sufferings of Christ are vicariously lived out in the lives of the other saints. 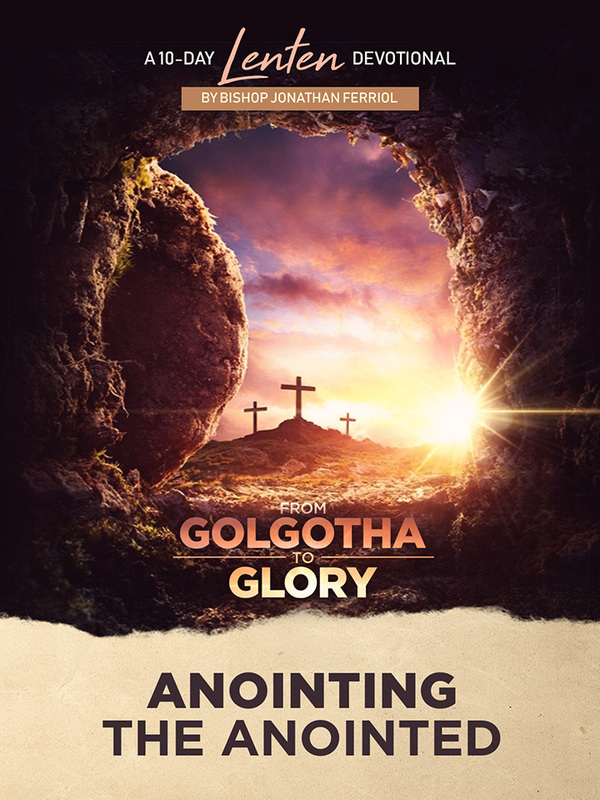 We must anoint them just as Mary anointed Jesus – Matthew 25:39-40. We cannot be like Judas Iscariot who was a pretender. He sounded like he cared for the poor and for the marginalized, but in reality, he actually just cared for himself – v.6. Selfishness ruins anointing. Anyone who only cares for himself is someone who cannot be anointed. Anointing flows out from selflessness and self-denial. God doesn’t bless the selfish, like Judas Iscariot. Follow Mary’s example. Choose to live anointed. Minister comfort to the troubled, peace to the anxious, provisions to the needy, hope to the desperate and salvation to the lost. 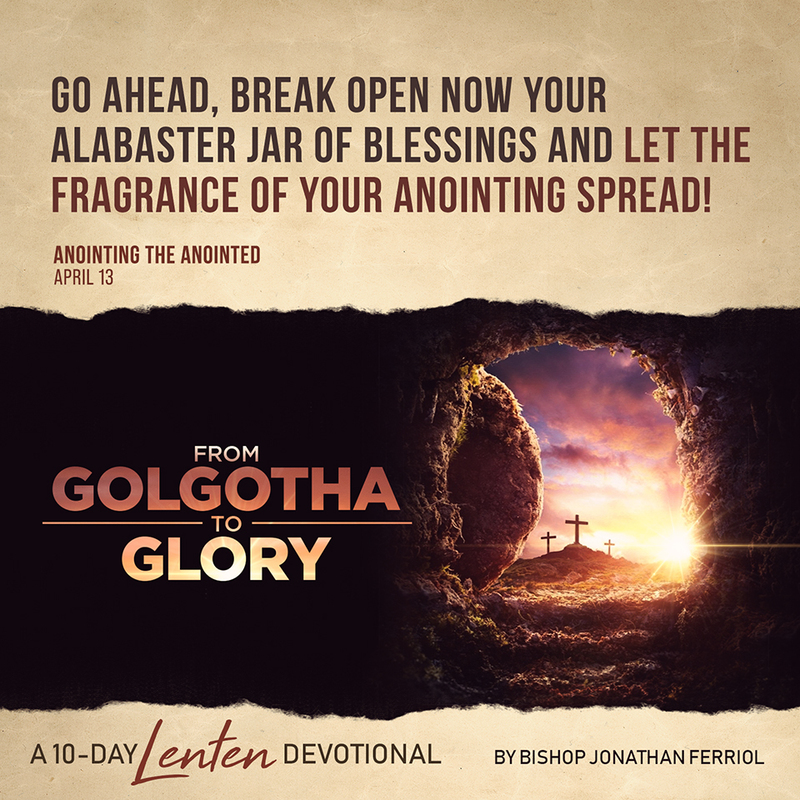 Go ahead, break open now your alabaster jar of blessings and let the fragrance of your anointing spread!